EagleEye is the app for Android that allows you to protect your children from being pestered by malicious users. 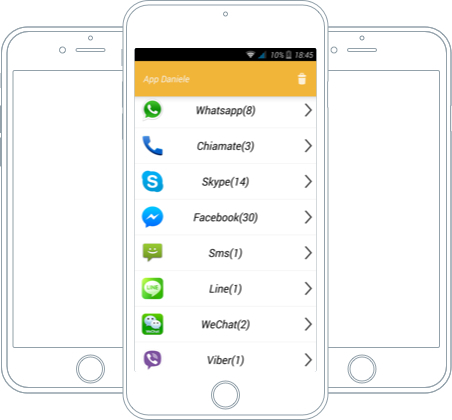 Sent directly to their phone, the parent will be able to receive a copy of the text messages and a list of the calls made and received, as well as the messages received on the most common mobile messaging applications. 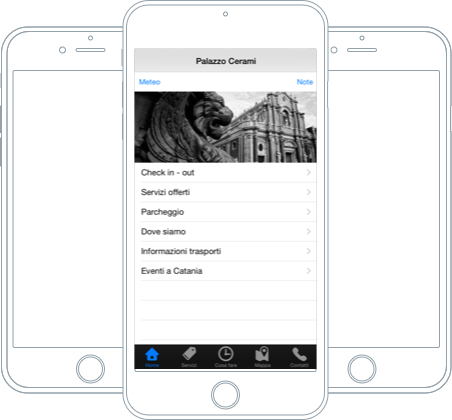 Palazzo Cerami is an app for iOS and Android developed for the software house and web agency Persefone. 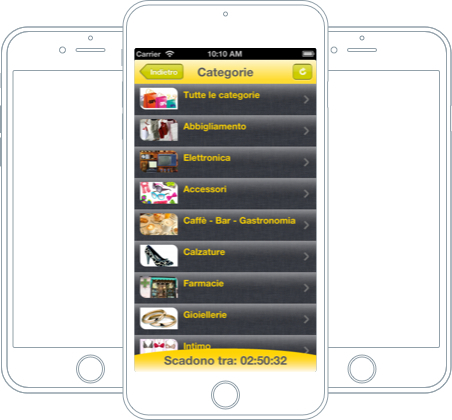 The multilingual application allows you to browse the services, weather, map and things to do near the B&B located in the historic centre of Catania. Street On Sale is the app for iOS and Android that allows you to constantly stay informed about all the discounts and offers from the shops. Thanks to geographical positioning, the app will be able to suggest to the user all the latest offers around.